A lot of people do not know about it but rabbitfish are poisonous. They have spines on their dorsal fin that contain non-lethal venom. 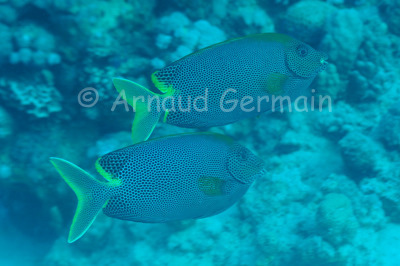 In Marsa Shagra, the starry rabbitfish is a common sight, even in the bay. I took this picture as I was making my way back to the beach.